Canvas ads for an interactive brand experience. Most rich branded content on our websites is built for a desktop world. With mobile accounting for the majority of time spent online, this makes for a clunky experience. Enter Facebook Canvas ads! To tackle this problem head on, Facebook launched Canvas ads. Canvas ads offer an easy to design experience specifically built for mobile, which makes the most out of your existing brand assets. There are all sort of interesting creative treatments we can deliver such as showcasing a specific model, range, or perhaps even a tour of a local showroom. Facebook Lead Ads, and LinkedIn Lead Gen Forms work incredibly well for generating low cost enquiries and test drive leads with social. They are designed to make it easy to fill out a form on mobile, with the form fields pre-populated with your profile info. 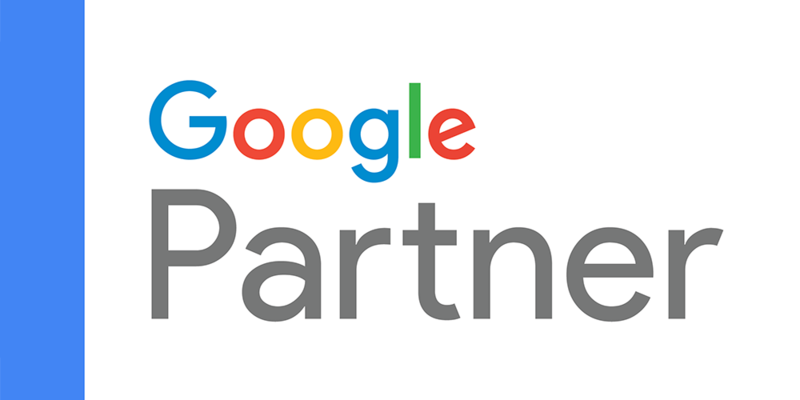 This drastically reduces the cost per lead. Most of our clients see a 50%+ reduction in cost per lead. You can customise Facebook and LinkedIn lead forms easily to use for both hand raiser campaigns, brochure requests or test drive bookings. For EU automotive, it's possible to add GDPR-friendly opt-in consent, and custom disclaimers to ensure people are aware how their data will be used. Now that you're familiar with Facebook Lead Ads, a simple extension of this strategy uses the Facebook pixel to reach in-market customers. As an automotive brand, you have rich information on in-market customers, simply through targeting your website visitors. Facebook's Pixel allows you to create Custom Audiences using your web traffic. One simple, but essential automotive targeting audience created using your Facebook Pixel is from specific pages such as a car configurator. Anyone who takes the time to configure a car is deeply engaged, and ready to book a test drive. Make this easy for them by retargeting them with a Facebook Lead Ad. It can take 2-6 months to convert auto leads, so make sure you are communicating to the customer over this critical period so you don't lose the sale to a competitor. Facebook Custom Audience Lists make this possible. You can upload hashed emails and phone numbers who have submitted a lead, but not converted yet. Facebook matches these records to people on Facebook for targeting. With the audience ready for targeting on Facebook, you can use any of Facebook's ad formats to keep them engaged. For example, a Facebook Video ad showcasing what it's like to own the vehicle, or a Facebook Canvas ad, which doubles up with physical brochures. It's hard to run this strategy at scale, as pretty soon, you'll be uploading hundreds of CSV's from your CRM each day. This is also a potential Data Protection and security challenge, especially if customers unsubscribe from communications. To solve this problem, Driftrock can securely onboard the records to Facebook for you automatically. We keep these audiences in constant sync, so if customers unsubscribe, we'll remove them from the audiences. Just like the lead nurturing, if you use Facebook Custom Audiences, you can also deliver relevant ads over their lifecycle, after the purchase. After-sales offers such as winter tyres or air conditioning checkups. 3 months before their finance plan comes to an end, you can showcase the latest model and generate a second purchase. By extending email to social ads, some of our customers have seen as much as a 50% boost in repeat sales. 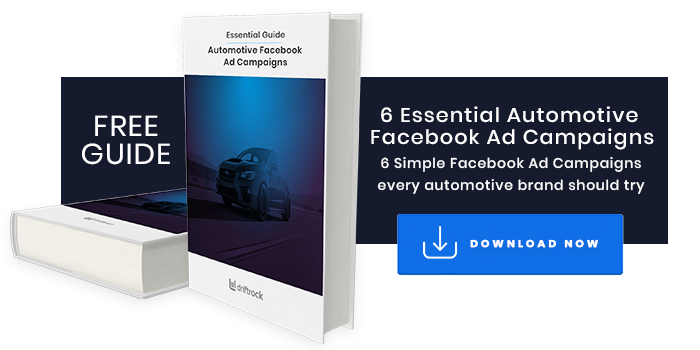 For some inspiration and top tips, check out our free guide below on the 6 essential Facebook Ad Campaigns every automotive brand should be running. Let us know what you think, and if you have any other automotive strategies we should add to the list! Want to get more articles like this one in your inbox? Sign up for the Driftrock Automotive Marketing Newsletter.